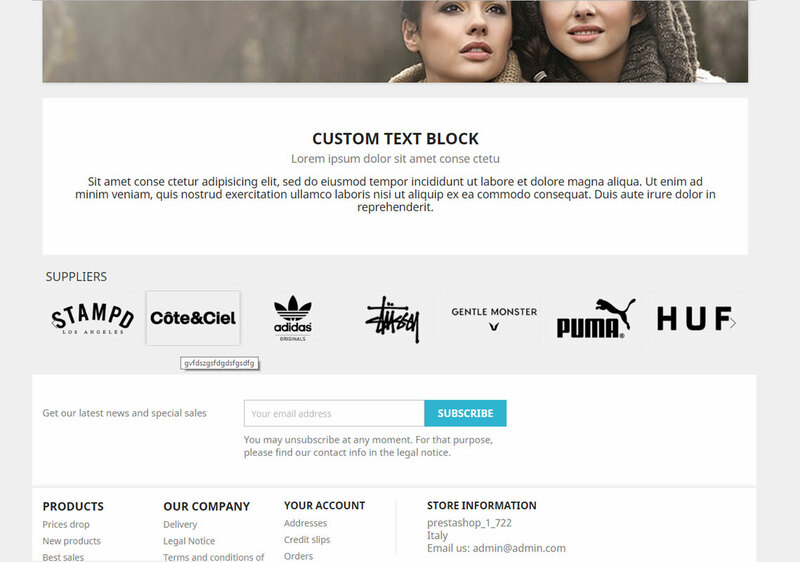 This great module adds a carousel into footer or home page, with sliding suppliers logos. After clicking on logo, user is redirected to suppliers page with related products. This module will automatically link suppliers page to their logos in carousel and customers will see all products from supplier that they like. It will increase sales all products from this supplier. Suppliers are a guarantee for quality, they assure product recognition in customers. With this moduleyou will can increase sales and generate reliability on your Prestashop site. 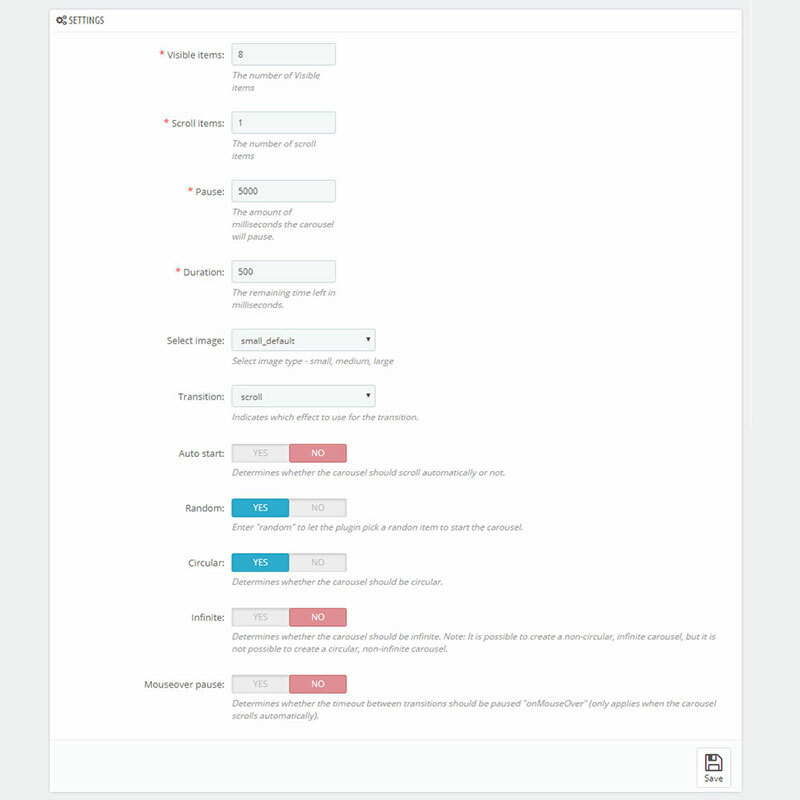 You can setup many parameters to customize the module and it’s fully responsive, it will adapt to any mobile devices and themes. Display sliding logo’s of suppliers in footer or home page. You can setup custom size of logo. This module is supported. All you need to do is contact the developer through the Webtet e-mail or Webtet profile page. Added compatibility with PrestaShop 1.7.